New concepts are constantly being introduced into our thinking. Conceptual Systems explores how these new concepts are entered into our systems along with sufficient continuity with older ideas to ensure understanding. The encyclopedic breadth of this text highlights the many different aspects and disciplines that together present an insightful view into the various theories of concepts. 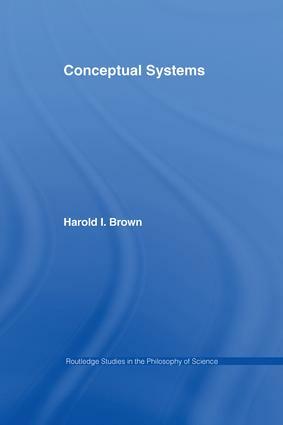 Harold Brown, a reputable author in the philosophy of science examines several historically influential theories of concepts as well as presenting a clear view on the general theory of conceptual change. Case studies discuss examples of conceptual change in the history of physics including the move in seventeenth century physics from Galileo to Descates to Newton; and the conceptual framework of the 'standard model' in the late twentieth century high-energy physics. The key central themes in the philosophy of science that are explored in detail in this enormous book make it an essential read for academics in this field.